Following the crushing doom of their critically adored, 2014 double LP, V, which earned a spot on Rolling Stone’s 20 Best Metal Albums Of 2014, UK drone/doom duo, OMMADON, continues their perpetual quest to achieve sonic annihilation of the self through unadulterated heaviness with Empathy For The Wicked. Boasting just one earth-rupturing track broken into two parts, Empathy For The Wicked was recorded live, mixed by OMMADON and mastered by recording legend, Billy Anderson (Neurosis, Zoroaster, Eyehategod, Taurus, Brothers Of The Sonic Cloth etc. ), who gave it the final crushing touches it deserves. Where OMMADON‘s previous scores were all recorded in the Highlands of Scotland surrounded by forest, Empathy For The Wicked marks their first release to be recorded on an industrial estate in urban Northumberland surrounded by the dregs of humanity. The first track from Empathy For The Wicked was originally recorded for the cassette split with Horse Latitudes and Coltsblood. During that session, OMMADON decided to continue recording through the night and drone out the riff which became the second side to Empathy For The Wicked. Empathy For The Wicked will be released on 12″ vinyl via Golden Mantra on July 15th, 2015 with preorders available at: www.goldenmantra.co.uk. Teasers to be unveiled in the coming weeks. 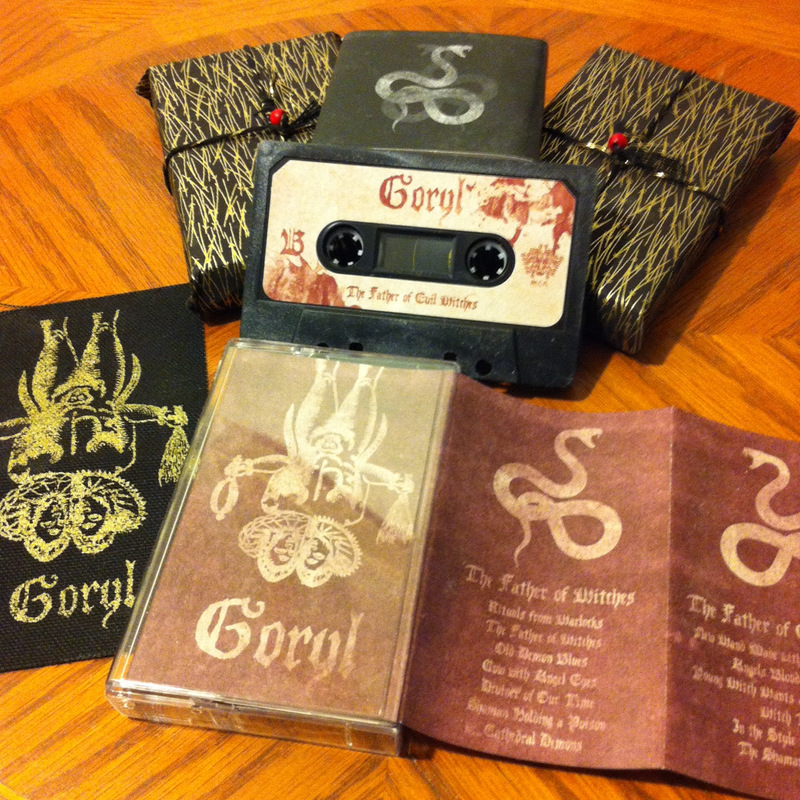 New Canadian label Medusa Crush Recordings are proud to unveil their newest release – A deluxe edition of drone sensation Goryl’s first two albums Father of Witches/Father of Evil Witches in cassette format. Each album is assigned to a side of a 76 min. on BASF Chrome tape for the highest quality sound. 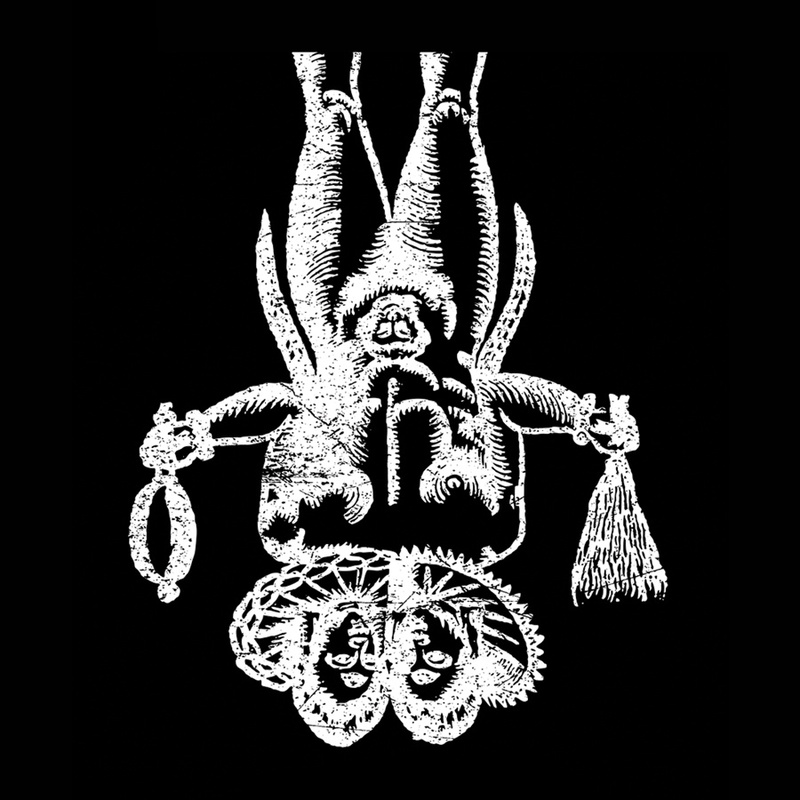 At a single press of 77 copies, this cassette additionally contains the previously web-only version of ‘The Shaman’s Speech’ and it all comes wrapped in a limited pattern, Japanese Chiyogami paper with a 3″ x 5″ patch of the cover in gold on black. The patch is only available with this release. LONG LIVE MEDUSA CRUSH RECORDINGS. In just one week, AUTHOR & PUNISHER – one Tristan Shone – will embark upon a 19-date North American trek supporting Philip H. Anselmo & The Illegals. 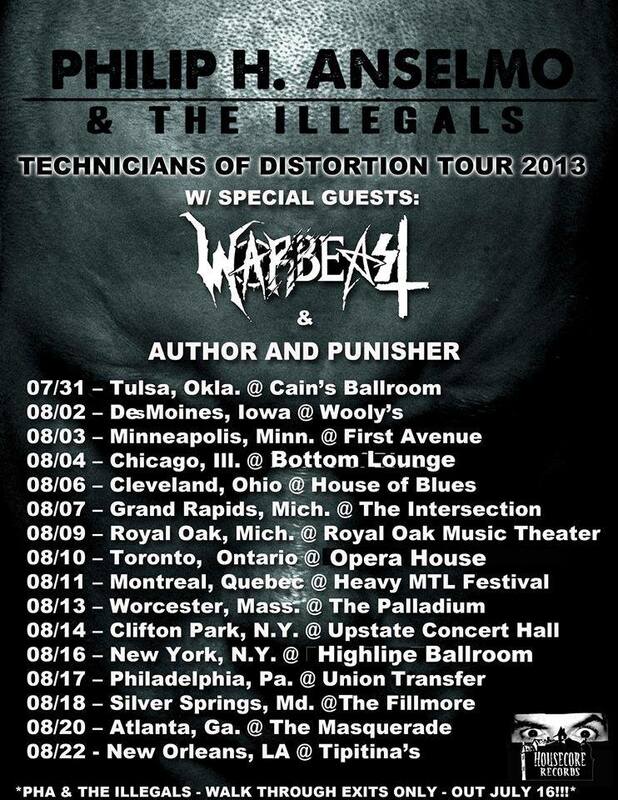 Fittingly dubbed the Technicians Of Distortion Tour, the long-anticipated journey will commence July 31st in Tulsa, Oklahoma. 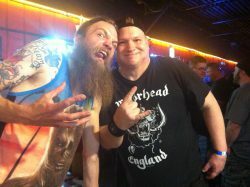 Additional support will be provided by WARBEAST. AUTHOR & PUNISHER mercilessly manipulate the principal conventions of doom, industrial and heavy bass music relying on cold steel and soulless machinery to sonically replicate the despondency of life. Described most succinctly as “industrial doom,” this one-man project utilizes primarily custom designed and fabricated machines and speakers, devices that draw heavily on aspects of industrial automation and robotics and focus upon the eroticism of interaction with machine. Through his maniacal audio decomposition, Shone paints an often disturbing soundtrack of a world gone rotten. AUTHOR & PUNISHER’s latest long player, Women & Children, was unleashed via Seventh Rule Recordings last month and continues to raise the eyebrows of fans and critics alike for its cold, mechanical, inexplicably cathartic audio menace. Women & Children is currently available via Seventh Rule Recordings. Order your copy at http://shop.seventhrule.com. LONG LIVE AUTHOR & PUNISHER. 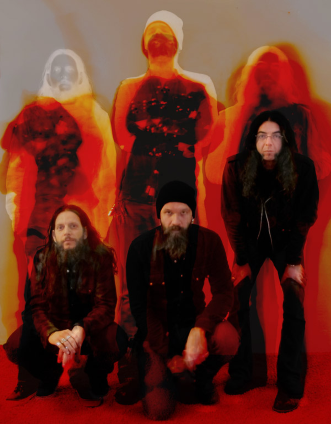 UFOMAMMUT – Oro is the title for UFOMAMMUT’s latest work and encompasses ten (tracks) movements overall. To be released separately as two albums, the first is Oro: Opus Primum, which will be released April 17th, 2012, via Neurot Recordings. The second chapter of Oro, Opus Alter, will be released in September of 2012. This album’s press release states Both Oro chapters are to be interpreted as a “single track” (to make a long story short) due to the way in which the music was written and flows. 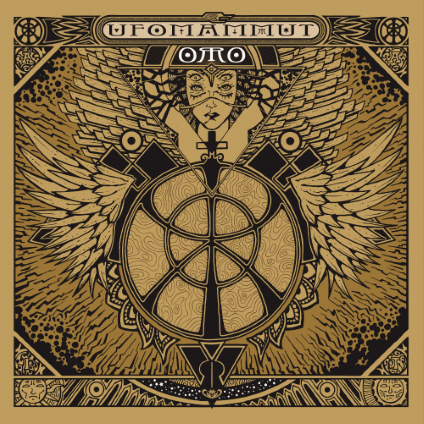 “As with all previous UFOMAMMUT albums, the concepts behind Oro are expansive and multi-faceted, mutating the Italian palindrome which translates to “gold” with the Latin translation of “I prey.” Oro explores the concept of knowledge and its power; the magical stream controlled by the human mind to gain control of every single particle of the World surrounding us. Oro is the alchemical process to transform the human fears into pure essence; into Gold”. EMPIREUM opens Oro: Opus Primum and swirls its ambient vibrations of spacey progressiveness throughout my thoughts. It’s Pink Floyd meets a psychotic thriller soundtrack. While building up its thick temp, the Doom atmosphere picks up mid-way through EMPIREUM, without losing grip on its creepy sound scape. I can get really, really lost in this opening track and love every second of it. At nearly 14 minutes long, EMPIREUM ends with a subdued atmosphere of sound, bringing about a melancholy affect upon me which I easily embrace. AUREUM – Opens with a more crunchy guitar sound and the Metal has arrived. The drum beats and bass lines are heavier and very distinct. With a copious backdrop of synthetic sounds, AUREUM flows along like strong river rapids, only these rapids are controlled with musical precision. The overall Metal wall of sound is worthy to bang your head to while throwing down some cold brews in the process. At 12:28 long, could this be Psychedelic Metal at it’s finest? It surely can be interpreted that way by me. 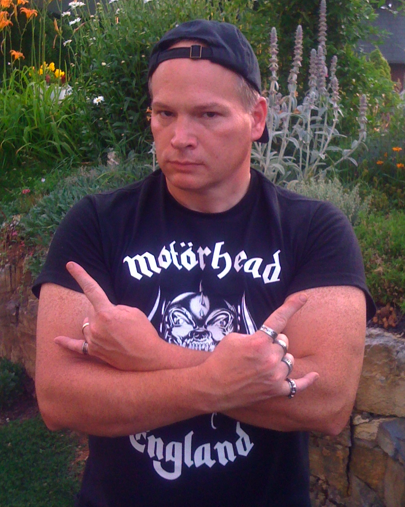 INFEARNATURAL – Begins with an epic-like feel with its off in the distance chorus. There is plenty of Metal stomp, with chunky Doom laden guitar that never ceases throughout. Synth layers are aplenty, with more unique sounds than my ears can grasp, even after multiple listen-throughs. There are remote-like spoken words that are both audible and inaudible. Overall, this is a multi-layered movement that I found captivating and its strong Metal personality wins the day. At 7:26 this is the shortest movement on this album. MAGICKON – This is by far the “foreboding entry” amongst these five movements I’ve listened to on Oro: Opus Primum. I just get that overall dark and cavernous vibe from MAGICKON. Doom, Doom, Doom and Doom again. MAGICKON just throws that Doom hammer down and covers me over in its heavy Doom blanket of sound. MAGICKON plays out at 7:57 long. 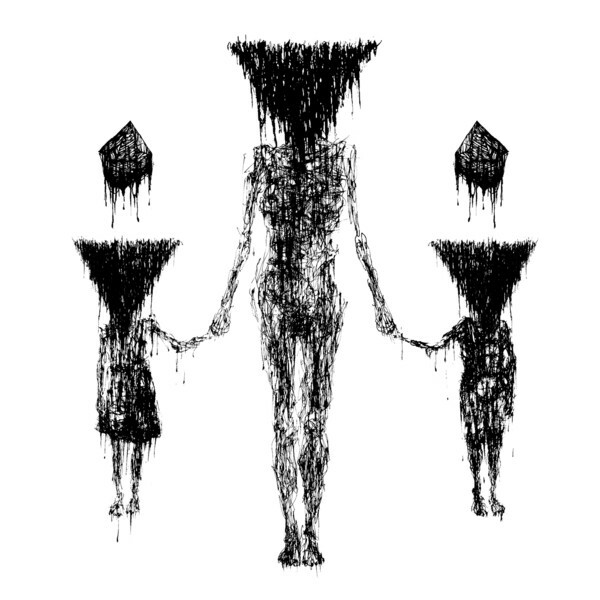 MINDOMINE – The tempo and repetitions of MINDOMINE could be considered by some as Drone Metal. With Doom riffs and distant screams ever the continuum, this movement can produce some chills. It’s a fine-line trying to consider some of these distant screams as being nearly “tribal-like” chants. 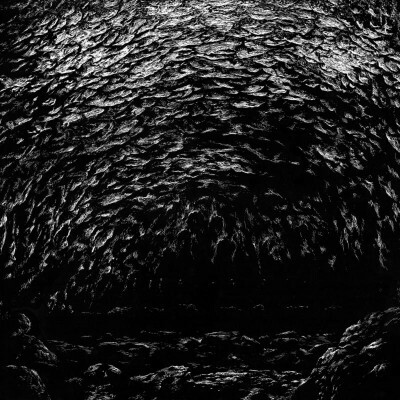 An eerie ending to this first chapter of Oro is MINDOMINE. Picture yourself floating in outer-space (thanks to the synths) while the skull melting sounds of Drone and Doom Metal encircle your senses. Clocking in at 9:18, that’s MINDOMINE. Musically complex, while consistently maintaining a Metal feel and vibe throughout its totality of sound, Oro: Opus Primum has allowed me to open my own mind to its world of unique sounds. 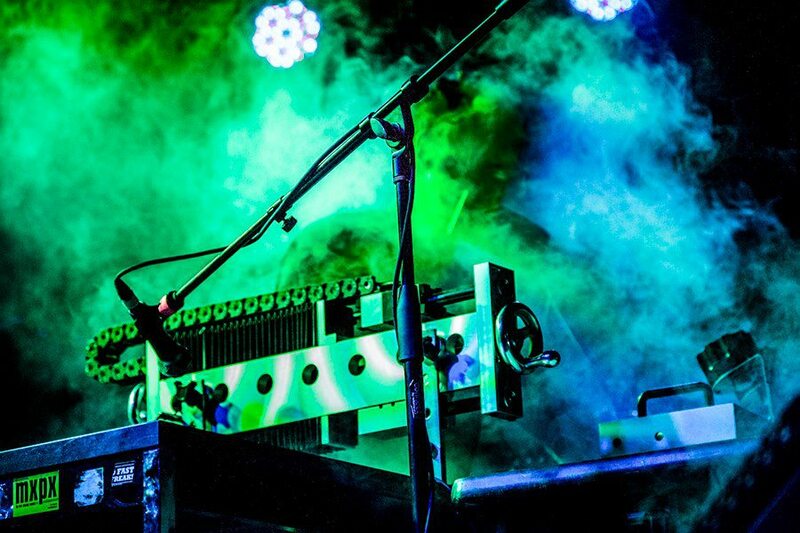 Richly textured and layered, there is no doubt, that with each synth sound, drum beat or note, it all opens the doors to a vast wealth of other audible vibrations. Weaving itself through the Doom, Drone, Progressive, Psychedelic and Ambient Metal genres, Oro: Opus Primum is both a listening experience and Metal mind quest. Following the release of EARTH‘s praised Angels of Darkness, Demons of Light I, released by Southern Lord in February 2011, the public’s first chance to hear a number from the 2nd installment of the series has arrived. While conceived in the same sessions as the first installment, recorded by Stuart Hallerman at Avast and mastered by Mell Detmer, Angels of Darkness, Demons of Light II invokes even more improvisational and unrestrained energy than its predecessor. Traces of this progression are evident in the track “His Teeth Did Brightly Shine”, the second song from the upcoming album as premiered worldwide on January 11th, 2012 by Spin Magazine, click: at this location. Angels of Darkness, Demons of Light II will be released by Southern Lord in North America on February 14th via CD, 2xLP and digital download. Seattle’s EARTH simply will not quit touring this year! In their constant and ongoing world tour in support of their newest full-length, Angels Of Darkness, Demons Of Light 1, the band have just confirmed more upcoming live performances! Only a month after their currently ongoing West Coast American tour will come to an end, EARTH will be back onto the road again, this time hitting the Southeast United States. 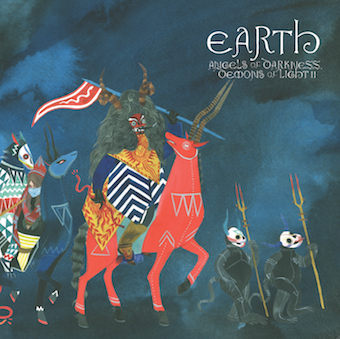 Based around their appearance at Raleigh, North Carolina’s annual Hopscotch Music Festival, EARTH will again find themselves performing in some of the locales that inspired EARTH‘s very existence. For these appearances they will bring Dark Folk outfit Mount Eerie in tow with them. 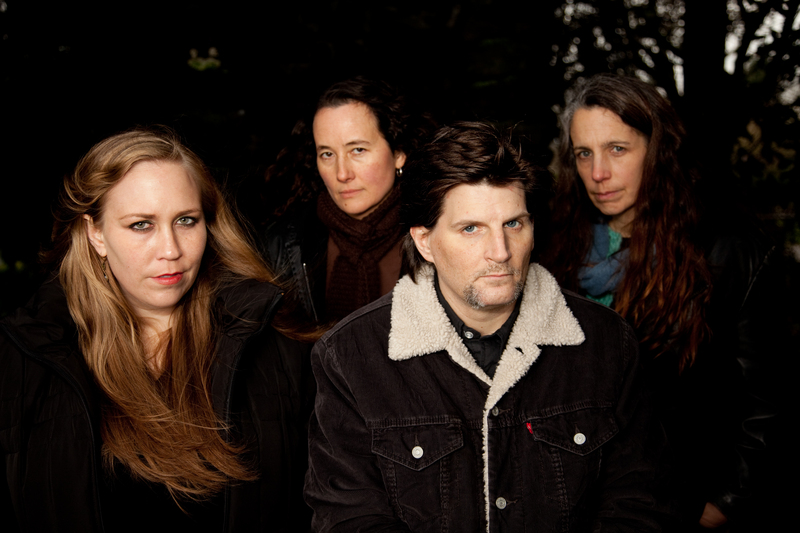 EARTH – Following their recent successful East Coast and Midwest U.S. tour, in support of their latest full-length, Angels Of Darkness, Demons Of Light 1, Seattle’s EARTH are preparing to take to the streets once again next week. This time they’ll be hitting the American West Coast, bringing Angelo Spencer et Les Hauts Sommets as direct support on all nine dates, and including special guests Wyrd Visions, Whirr and Tiny Vipers on several shows. The tour is based around EARTH‘s performance at Washington’s What The Heck? Fest next weekend, where they’ll perform alongside Thrones, Ô Paon, Mount Eerie, Karl Blau, Liturgy, Angelo Spencer & Les Haut Sommets, Wyrd Visions and many more. 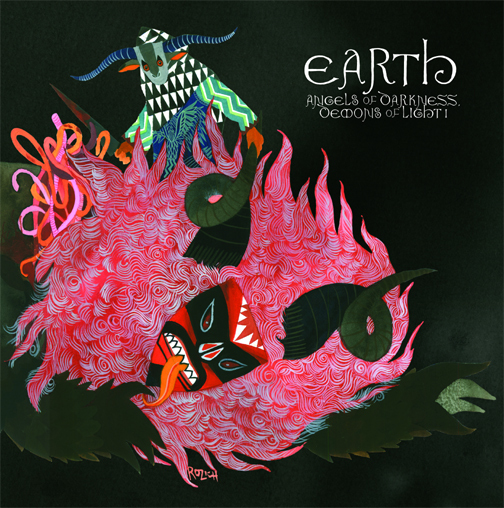 Following the Summer touring schedule, EARTH will perform at Raleigh, North Carolina’s annual Hopscotch Festival in early September, the fest showcasing over 150 diverse musical acts over three days including Coliseum, Drive-By Truckers, Guided by Voices, Horseback, J Mascis, Krallice, Mount Eerie, Oxbow, Rhys Chatham, Swans, The Body, The Flaming Lips and so on. EARTH are also scheduled as a main performer at the upcoming All Tomorrow’s Parties presents I’ll Be Your Mirror in Asbury Park, New Jersey this October, the event curated by Portishead, and the massive three-day lineup including Mogwai, Battles, Deerhoof, Portishead, Swans, Shellac and more.